GD Designs offers you a complete and experienced Engineering Department as well as a modern CNC Machine Shop for milling, turning, and grinding of precision parts. Our advanced CAD system and CNC equipment enable us to maintain extremely close tolerances on all types of metal and plastic parts for either production runs or prototyping. We rely on our well equipped Testing and inspection Department for quality control. 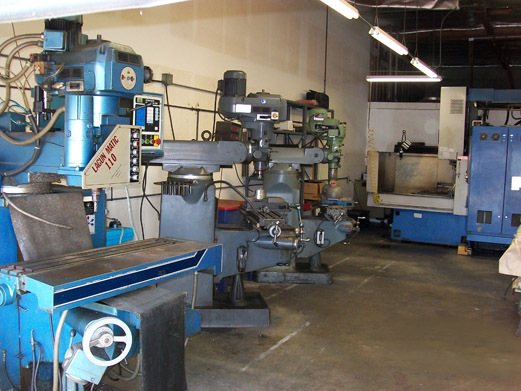 Machine shop equipped with CNC and conventional vertical end mills, lathes and surface grinding. © 2019 GD Designs, Inc.